Is Brandwatch the best monitoring and analytics tool available? 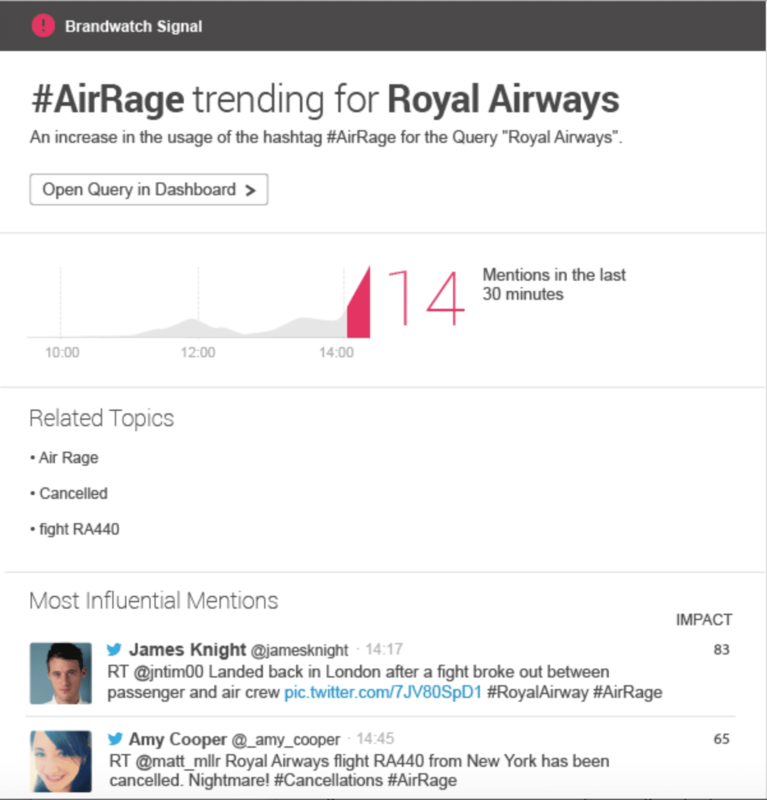 Is Brandwatch the best social intelligence platform? 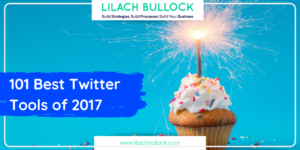 If you’ve been following me and my writing online for a while, I’m sure you’ve noticed I absolutely love tools and apps. And if that tool has anything to do with analytics…well, then I turn downright giddy. Recently, I’ve had the opportunity to try out one of the most powerful social intelligence platforms on the market, Brandwatch – and loved it so much, that I had to share my experience and let you know about this awesome tool, and why it’s definitely one of the best monitoring and analytics tools on the market right now. 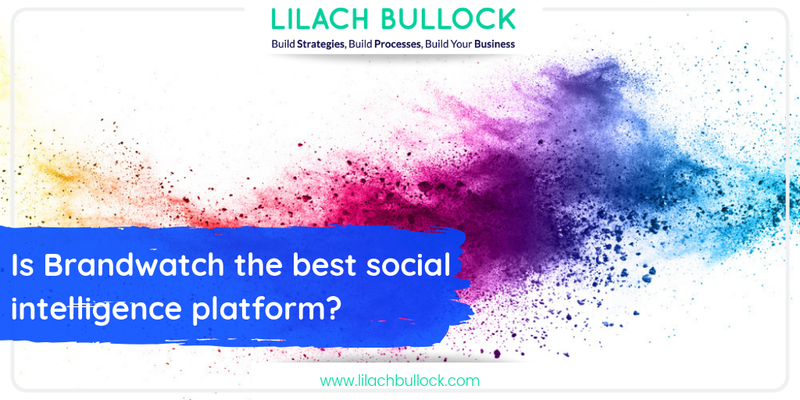 There are quite a few tools designed for social listening and analytics, particularly when it comes to social media. But very few (or really none that I have tried to date) are as extensive as Brandwatch. It doesn’t just track mentions of queries on social media, but also websites, forums and blogs, making it the complete tool for monitoring the web. It’s also incredibly accurate and detailed, with multiple different filtering options, making your search much more effective and productive. Brand monitoring: you can also use Brandwatch to monitor any mentions of your brand online, not just on social media. 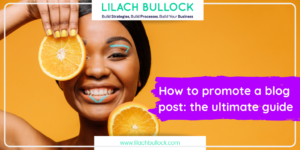 This is great for those who want to stay on top of any mentions, so that they can take action as soon as possible or so that they could gouge the sentiment behind their brand mentions. You will also be able to react to any issue or even crisis as it infolds, so that the damage will be minimal. Social media monitoring: social media monitoring has a lot of benefits, especially on Twitter. 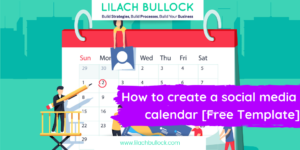 You can track any mention of your brand name, so that you can respond quickly and efficiently, or find potential followers or conversations to jump into, or for discovering potential leads. Trends: another way to use Brandwatch is to stay on top of any trends that are relevant to your industry. Knowing about these trends can also improve your marketing and help you make better decisions with your products or services, so that you can ultimately improve your sales and ROI. Audience insights: with Brandwatch, you can gain more insights into your audience. It’s not just about what they’re talking about, but also information like gender, top interests or their top professions. Find out what your audience cares about and what they’re talking about and you will be able to make more informed decisions for your marketing. Competitor research: another way of using Brandwatch is to conduct some competitive research. You can add their different channels to track directly, or set up queries for their brand names. Gaining insight into your competitors is very useful as it can help you improve your own marketing. Influencer marketing: you can use Brandwatch to research the top influencers in your niche or industry. Reputation tracking: what is your brands’ reputation like? You can track any trends in negative mentions of your brand, so that you can start managing your reputation immediately. Track sentiment: Brandwatch offer one of the best sentiment tools that I’ve tried. This is useful for brand monitoring and market research, as well as for tracking your reputation and researching your competitors. Although Brandwatch will automatically tag mentions with the sentiment it deems, you can also easily do it manually as you go through your mentions (which you might need to in some cases, because as good as Brandwatch is a this, there are some mentions here and there that need a human hand to properly set their sentiment). One of the things that truly impressed me with Brandwatch is that it’s incredibly easy to use for such a complex monitoring tool. Not only that, but you also get exceptional customer service. 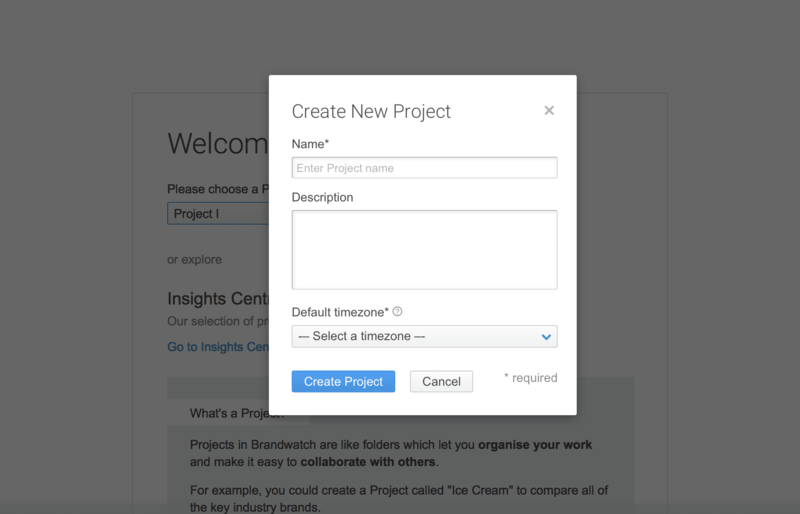 My first time using it, I had a call set up with a wonderful girl from Brandwatch who took me through all of the basics of Brandwatch, helped me set up my monitoring search from scratch and made detailed recommendations based on my specific needs. From then on, every time I had an issue or a question, she was always available to take me through it and explain. It was very easy to use, though, so after 2 calls with them, I already felt like a pro. Once you’ve created the main project, you can create different dashboards for all your different queries and interests. In each individual dashboard, you will be able to see all of the data and mentions you need, as well as add all kinds of different charts and summaries. 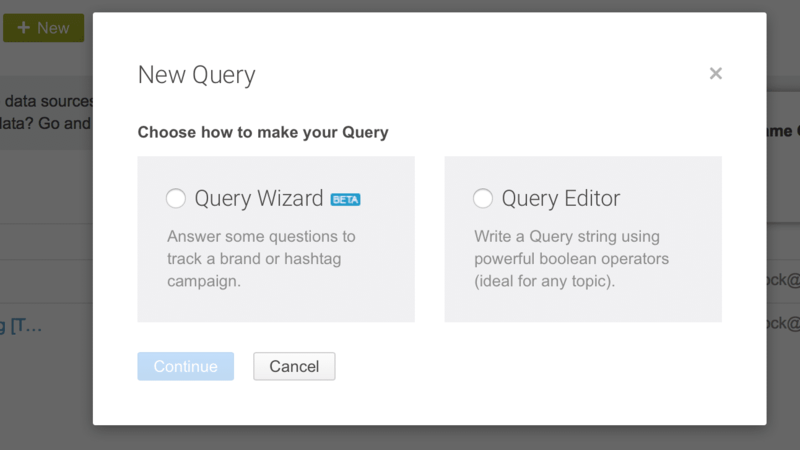 As you can see, you have two options here: the query wizard, which is currently in beta, or the query editor. As you can see, you can select specific languages and locations (including cities, not just countries), then add the hashtags you want to track (or the brand name), add any words that show a mention as being off-topic, so that they can be disregarded from the search, select the amount of mentions you want to get (in case you think you might be drowning in data and want to limit it somehow) and you’re first query is set up. 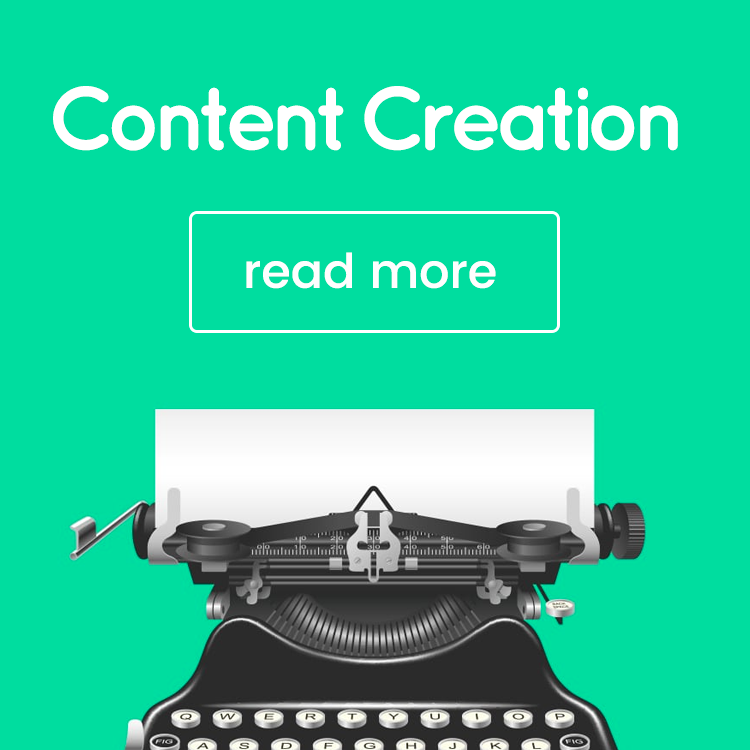 With the Query Editor, you simply add the keywords you want to look for, as well as any specific websites you’re interested in. To start, you enter ((“your keyword” OR keyword)) AND site:twitter.com, as an example. You can also limit your searches to specific locations by adding AND country:UK to the query. 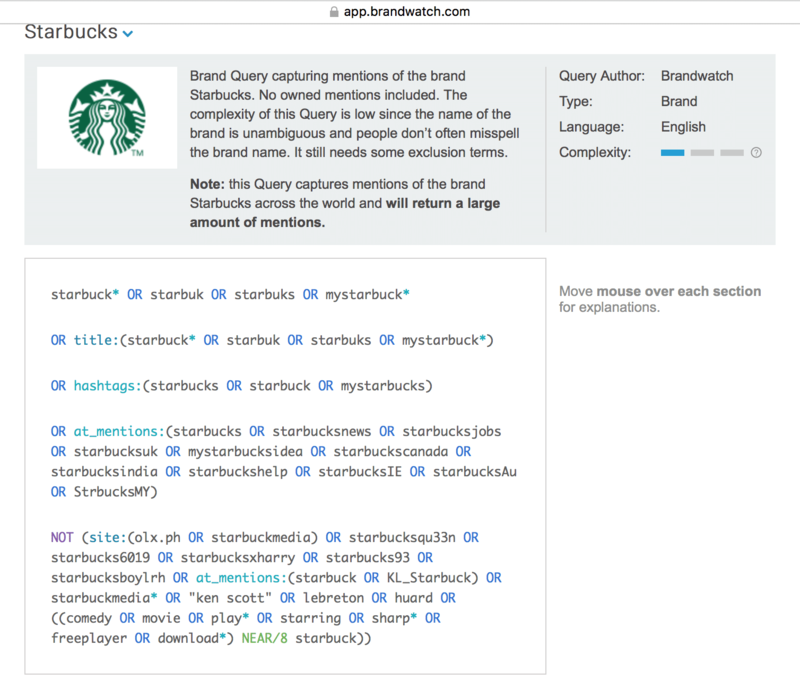 In the same query box, you can add the words you want Brandwatch to exclude. Since it gathers mentions from all over the web, this is a very important aspect, or else you’ll be inundated with irrelevant mentions. To add keywords to ignore, all you have to do, after the list of keywords you want included, start a new paragraph like this: NOT (“keyword group” OR hashtags:emabiggestfansladygaga OR site:mirror.co.uk). As you can see, you can add all kinds of things, not just keywords, but also specific hashtags, websites, countries and so on. When you’re finished with adding keywords to your query, click on “test query” to immediately see examples of the results you would get. You can then click on ‘topics’ as well so that you can see if there are any other keywords that you can exclude to make your search tighter, more relevant and ultimately easier to go through. Furthermore, in Data, you can create some other useful searches as well. In Channels, you can add different social media public profiles that you can track. 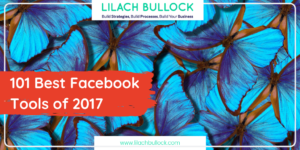 This is especially useful for tracking your own brand’s activity on social media, as well as your competitors’. At the moment, you can track profiles from Twitter, Facebook and Instagram. 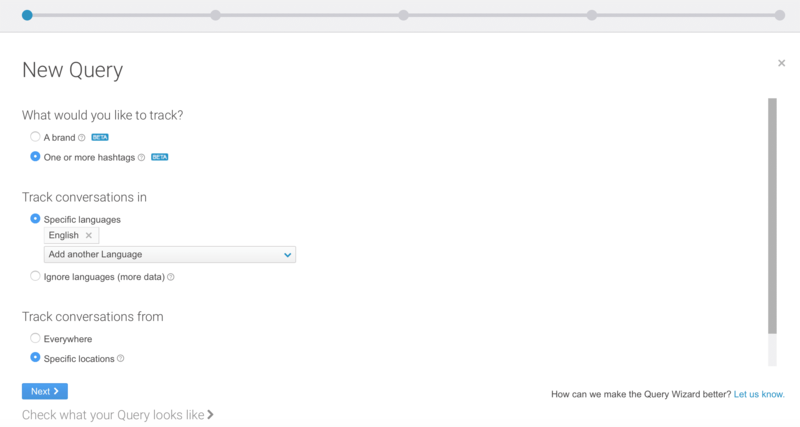 When you’re finished setting up your different queries and channels, you have the option to look at them all at once, as well as compare them, by going to “Groups” and creating a group with the channels you want to compare. You can use this feature for benchmarking, as well as for discovering the share of voice. 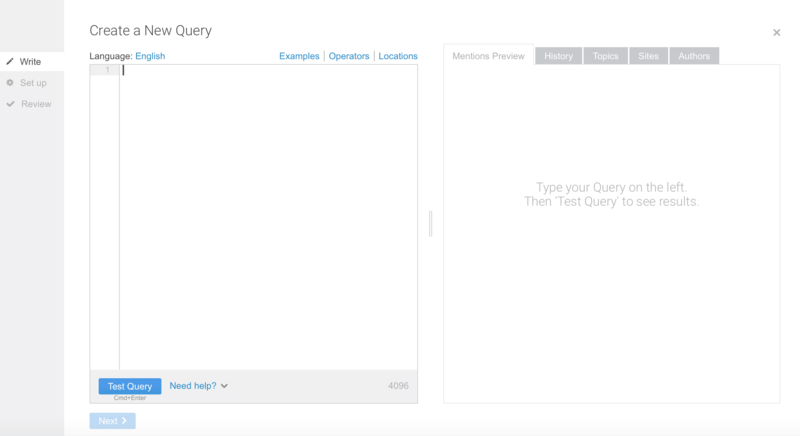 Now that you’ve set up your queries, it’s time to set up the dashboards where you will be able to visualize the results from these queries. Whatever type of dashboard template you choose to use, rest assured that you can customize it and add all kinds of graphs, charts and stats to it as you go on. 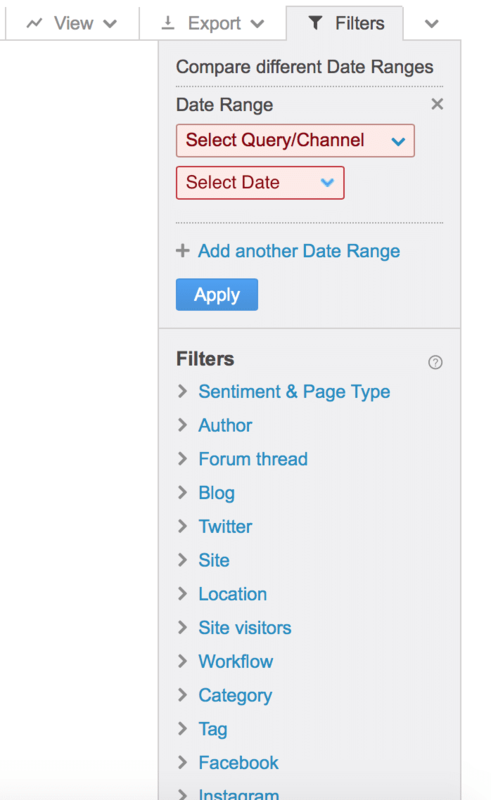 You will also have the option to make changes to all of the data in your dashboard, such as change the date range and apply different filters (sentiment, location, site and much more), all from the top of your dashboard page. Rules: you can use rules to automate various actions; once you’ve set up a rule, Brandwatch will be able to automatically tag, categorise or adjust the sentiment for mentions. 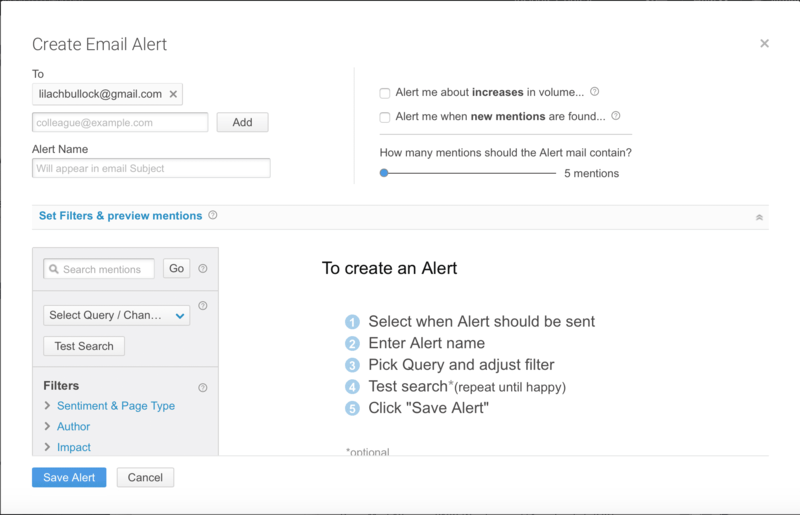 Alerts are another useful feature, that works in 2 different ways: signals or custom alerts. Custom alerts or email alerts that are triggered by specific changes in your data, as you define them. As you can see, you can choose to be alerted when there is an increase in volume for your data, or when new mentions are found. Although you can use the charts and tables from your dashboard project for reporting, Brandwatch also creates full reports. Brandwatch is definitely the most comprehensive social listening and monitoring tool I’ve ever tried – and I’ve tried a lot! 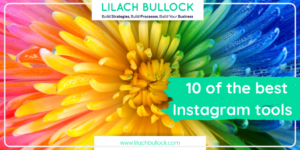 What makes it stand out is that first (and most importantly) it gets a lot more results than other similar tools and their filtering is also much more extensive, which is of huge help when you have huge amounts of data. 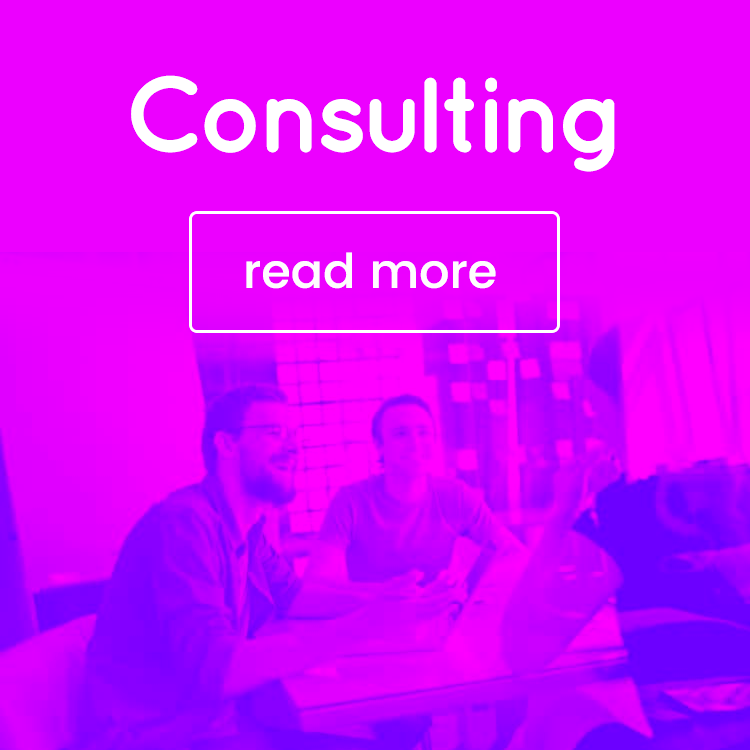 Although it might sometimes miss some websites and sources, in most cases it’s just a question of letting the Brandwatch team know about it, and they will quickly and efficiently add it. Another benefit of using Brandwatch is that it’s very easy to use and when you actually get the hang of it, you will feel like a pro researcher. Not to mention, their customer service is amazing, always ready to respond to any questions and happy to help with live video tutorials, tips and much more. 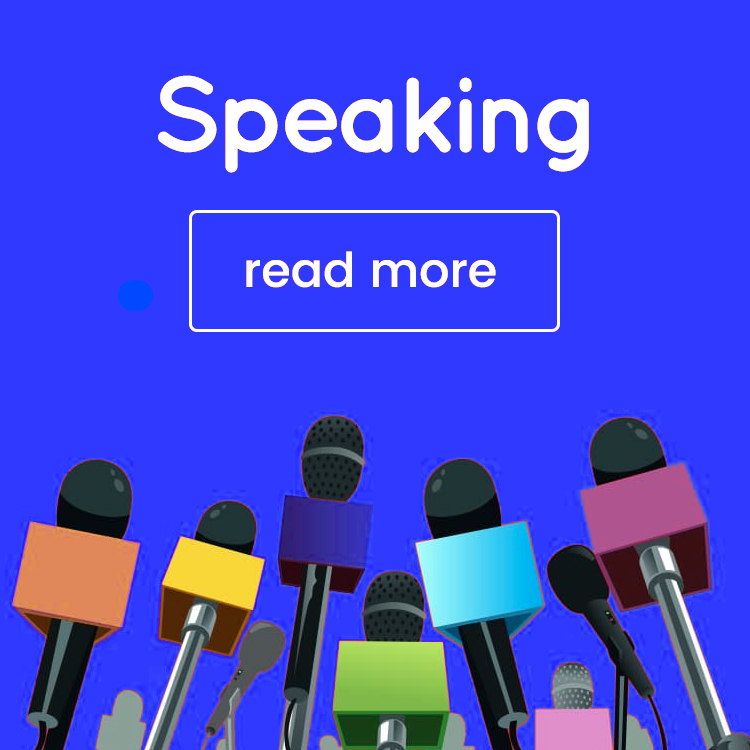 It’s a tool perfect for those who want to perform more extensive research or who want a more detailed analysis of their online mentions than most other monitoring and analytics tools provide. If you only want to track your brand mentions on social media, other tools should be more than enough; but, if you want to go into detail, discover trends in your niche or industry, find out what the sentiment is like behind mentions and much more, than Brandwatch is the tool for you. I’m sure I’ve likely missed some of the features that they offer, simply because I didn’t have a need for them yet. I will continue to use it, even though my project has just finished, simply because it’s an amazing tool that helped me gain so much insight about the industry and the audience. This is really an amazing tool. Thanks for sharing this post. I’m looking forward to use this tool.